So I have been wanting to build a roundy-round set in the early 1950’s so I can run my Bachmann 2-8-0. My fiend Joe D’Amato really planted the seed when he gave me a Micro-Trains engine house. This engine house has many components that look and feel like John Allan’s Gorre and Dephetid engine house, except that it is open on one side and is a single stall. I have been working on it slowly, and I am almost done with the model. 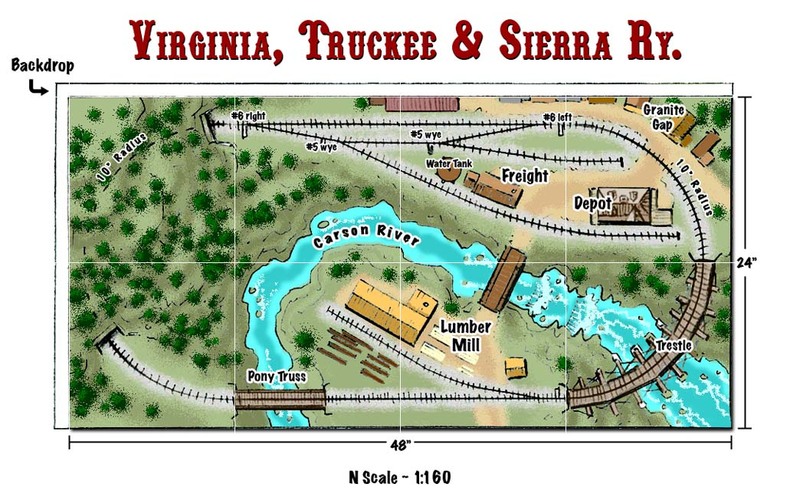 Joe and I have agreed to build a pair of 2×4 layouts using the same basic track plan, but with different eras and locations. I have decided to model the Pacific Coast railway as if it survived WWII, was standard gauged and was purchased by the Southern Pacific. I plan to use Atlas Code 80 track with Customline #4’s, and all wood kits for the buildings. I am also thinking about scratch building an SP SC-73-1 whaleback tender and modify the 2-8-0 to look and feel more like an SP loco. More to come .